The Late Shift: Who's Poised to Be the Next King (or Queen) of Nighttime Talk? 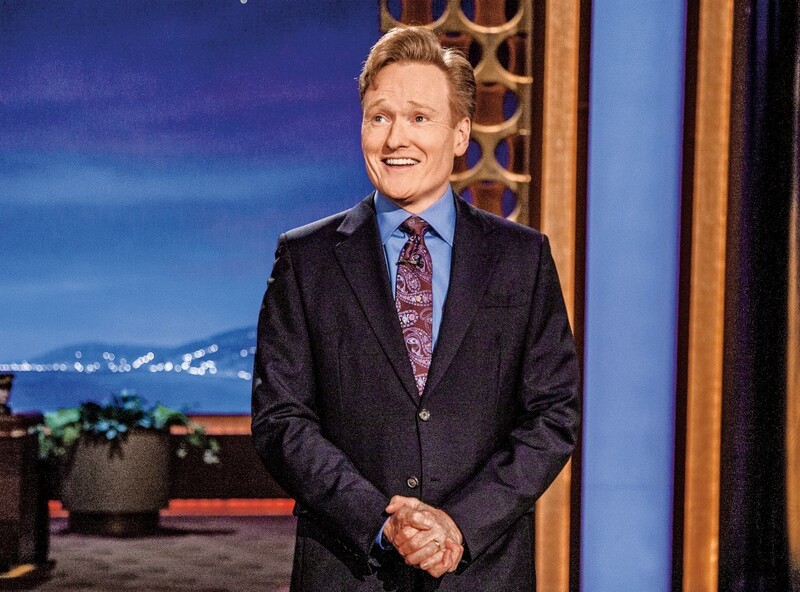 Conan O’Brien, elder statesman? With Jay Leno and David Letterman retired, O’Brien has inherited the title of the country’s current longest-running late-night talk show host. The late-night landscape has undergone a dramatic changing of the guard since then—and especially over the past 18 months, as the retirements of Leno and Letterman set off a chain reaction. In quick order, Jimmy Fallon moved to NBC’s The Tonight Show, Seth Meyers took over Fallon’s Late Night, Arsenio Hall’s syndicated series was canceled, Chelsea Handler left her E! series, Larry Wilmore developed Comedy Central’s The Nightly Show to replace The Colbert Report, James Corden inherited Craig Ferguson’s chair on CBS’s The Late Late Show and The Daily Show alum John Oliver launched HBO’s Last Week Tonight. Next up, Jon Stewart passes The Daily Show to Trevor Noah and Stephen Colbert debuts his Late Show on CBS. That means traditional ratings are only one audience gauge. “From the beginning, we thought of our show as something that has to exist on a lot of different platforms,” says Wilmore, who paces his program in digestible chunks. Hand in hand with the viral trend is a move toward more variety-like segments, frequently involving that night’s guests. On The Tonight Show, celebrities are expected to do a lot more than simply tell Fallon amusing anecdotes while sitting on the couch. Now they’re enlisted to dance, sing, play games, do impressions and star in skits. But until Handler returns to the genre in 2016 with her new show on Netflix, late night remains embarrassingly devoid of women. “We need some women out there too,” Wilmore stresses.